Bring veggies to a boil in the broth. Cover and simmer 15 minutes or until veggies are soft. Drain the veggies and place them in a bowl with the cream cheese, cheese, garlic, milk, salt and pepper and beat with a mixer until creamy. If they are too dry, you can add more milk. Spray with the I Can’t Believe it’s Not Butter spray just before serving. This is a great recipe. It has my favorite pasta, orzo ! Plus is has lotsa healthy veggies and a simple parmesan sauce. I could eat this every day !! Bring broth and water to a boil then stir in orzo and cover and cook 7 minutes. Add in veggies and cook another 5 minutes. Turn off heat and stir in cheese, salt and pepper. 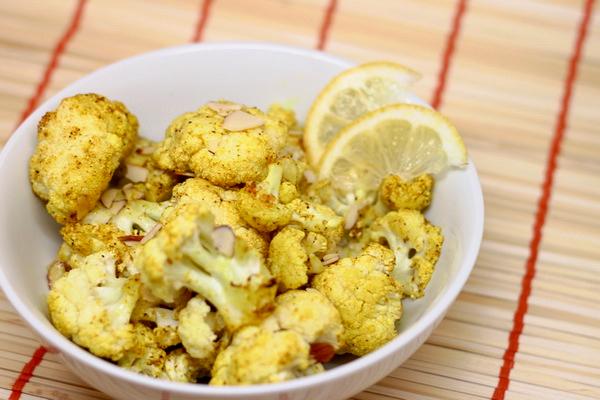 This is so lemony and so refreshing – a perfect cauliflower dish ! (LINK FROM CITURS SALAD)./ Make sure you work over a bowl so you catch all the juice. Then squeeze the leftover membranes into the bowl to get out all the remaining juice. Chop the segments and add to the juice. Add oil, basil, salt and pepper. 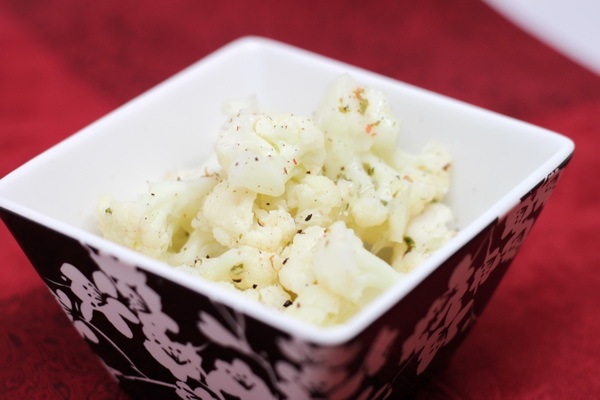 Stir in steamed cauliflower and serve. Preheat oven to 425 degrees. Spray a baking sheet with Pam. Place cauliflower in a pan with 2 T water, cover and cook 6 minutes or until still crisp yet tender. In a zip loc bag mix all the spices and flour. In another zip loc, place the cornflakes. Beat the eggs lightly and one at a time roll the florets in the egg mix, then toss in the spice bag, the coat with egg again, then toss in the crumbs being sure to press so the flakes stick to the florets. Then place on baking sheet and cook 15-20 minutes or until golden. 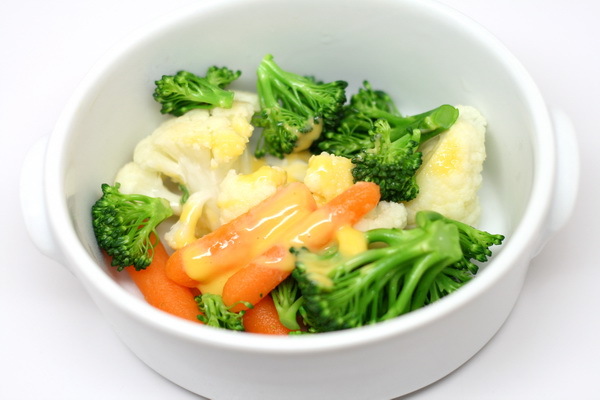 Place carrots and broccoli in a steamer basket and steam 5 minutes. Mix water and velveeta and microwave 1- 2 minutes or until well blended then add scallions and mustard. 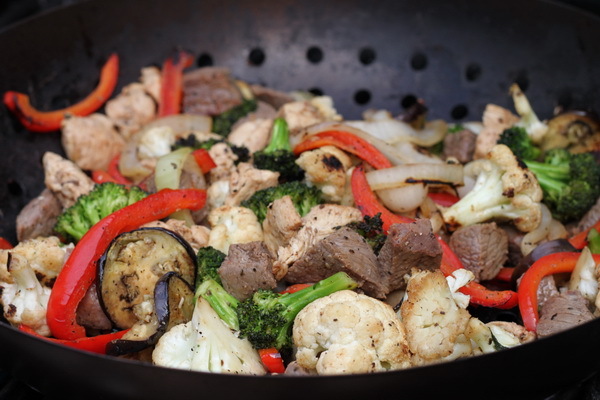 Drizzle sauce over vegetables. How completely decadent this is !!! 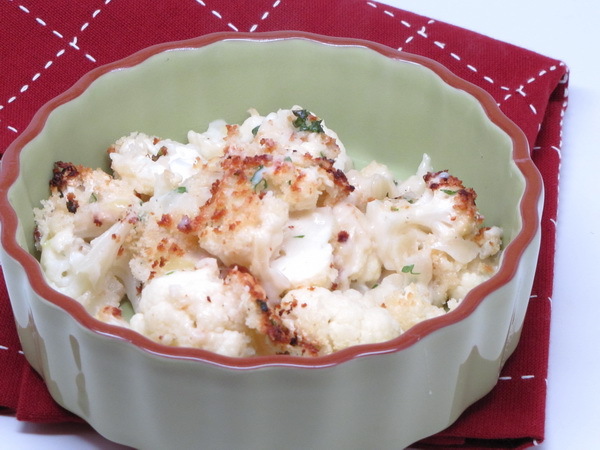 The cheese sauce is just fantastic – I think gruyere and cauliflower were meant to go together. If you don’t like gruyere, swap out the cheese – but makes sure it is a harder cheese (less calories) and one that has a pretty distinct flavor – maybe a nice shaved romano or provolone. Preheat oven to 400 degrees. Spray a 2 quart baking dish with Pam. 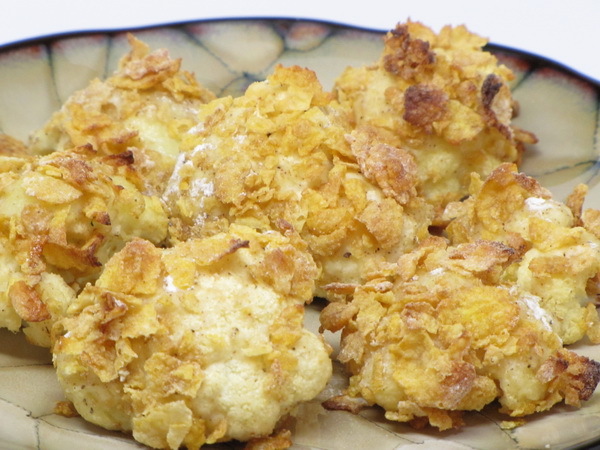 Top cauliflower with salt and pepper and bake one half hour. Preheat broiler. Melt spread and stir in breadcrumbs then mix in ¼ c of the cheese and set aside. Heat a pan and spray with Pam. Cook onion 5 minutes adding water if necessary to keep the onion moist. Add garlic and cook another 30 seconds. Add flour and cook 1 minute stirring constantly and then gradually add mill whisking constantly. Bring to a boil then lower heat to medium and continue cooking 3 minutes to thicken up the sauce. Remove from heat and still in the rest of the cheese, some salt and pepper, and the parsley. Pour the cheese sauce over the cauliflower and broil 3 minutes. How come the ‘Veggie Tales’ song is stuck in my head now? LOL This one seems a little weird, but the final product is great. 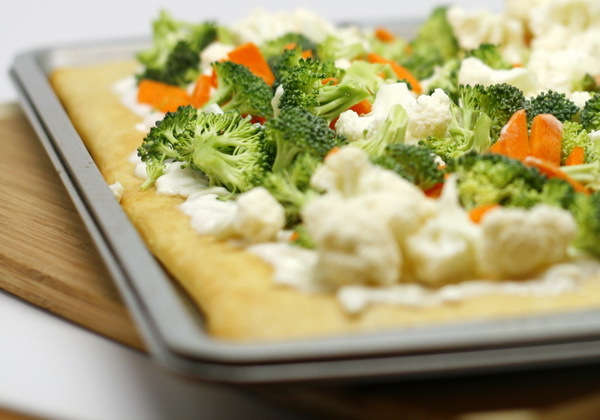 The ranch flavor comes through proud and strong and mixes so well with the veggies. 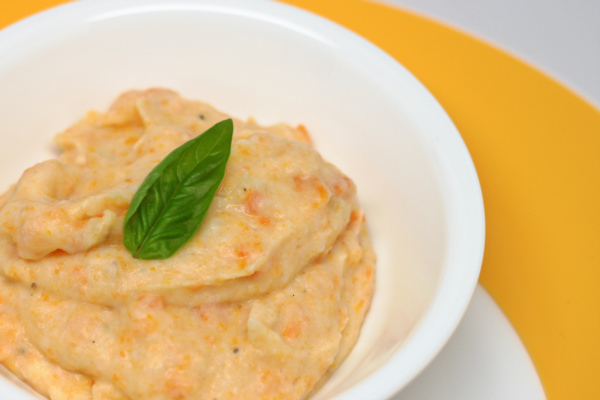 Serve as a healthy appetizer or as a side next to a dinner portion of meat or fish. Preheat oven to 375 degrees. Unroll crescent rolls. Spray a cookie sheet with Pam and press crescent roll dough into pan to form a crust. Bake 10 minutes or until golden. Let cool 15 minutes. Combine cheese and dressing and spread over crust. 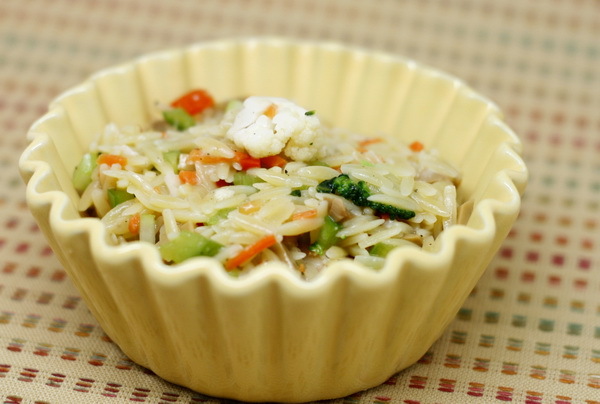 Place the veggies over the top, cut into 24 squares and serve immediately. This is so cheesy that you can’t help but think you’re cheating on your diet – but you’re not ! Not by a long shot ! This is quick and easy to prepare and a great dish that deserves to be added to your permanent recipe box. Heat oil on medium high heat and add chicken and sprinkle with salt and pepper and cook 5 minutes or until brown. 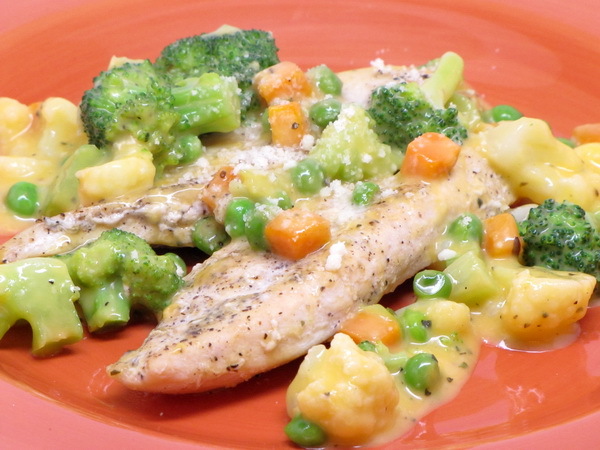 Stir in veggies and reduce heat to medium and cook 10 minutes until chicken is done and cheese sauce is melty. Then stir in parmesan and basil and continue cooking on low 3 minutes or so.